Hope everyone has had a chance to visit "So You Think You Can Decorate" and see all of the fabulous projects the participants have come up with this week! If not, hop over, and vote for your two favorite projects! And now for a little Linky Love. I'm always impressed with all of the clever ideas and great projects you all share with us on Frugal Friday! Mandi from Tidbits from the Tremaynes created this darling subway sign art with some left over beadboard and vinyl lettering. Love it! 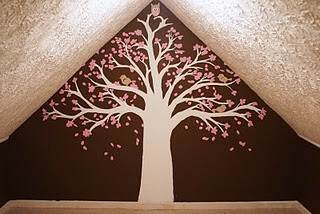 Stephie and Kyle from Made by Stephie created this lovely tree mural for Stephie's cousin. Love the colors, and the whismy. Makes me wish I had steep eaves to paint a tree under! Cheri from I Am Momma Hear Me Roar! created the cutest playroom! 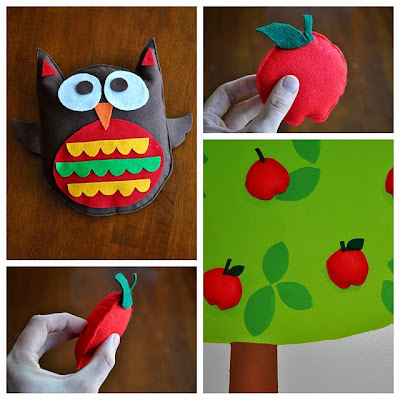 Love her interactive play tree...and check out this cute little owl! Don't forget Frugal Friday is now going to be a weekly feature so keep the great ideas comin' and we'll see you here again this Friday! Wow!! Four pounds in one week is amazing! You are off to a great start! Go you! 4lbs is awesome! Congratulations! That is wonderful...those projects are pretty sweet too! congrats on the four pounds! that's an amazing start! wow! good for you! please help a girl out and tell me what you are doing! really!!! 4 lb is amazing! Congratulations! Wed is my weigh in day with TOPS. I lost before Xmas, gained some back over Xmas, and am finally back to losing. I'm going for 15 lb off by summer! Root, root, root -- we can do it. Wow, four lbs is an excellent start! Yay for 4 pounds! I think I need to jump on that bandwagon too and get in shape for the upcoming swimsuit season. . . 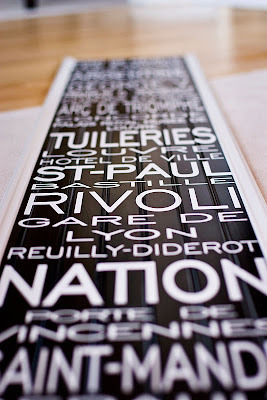 Thanks SO much for featuring my playroom! I feel honored. I love your blog and your personality. Thanks again! 4 pounds is stellar. What's more stellar... Frugal Friday party EVERY Friday! Fun, fun. Loved the accessorizing of your boys room. Your daughter's birthday party looks like tons of fun. Great idea.